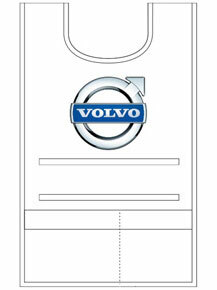 Get your free order sample now. Even if your event is 12 months away, we can help today. 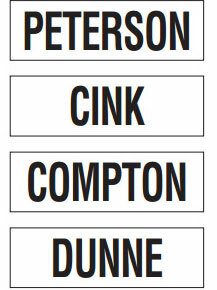 Custom made sports, media & Golf caddie bibs. 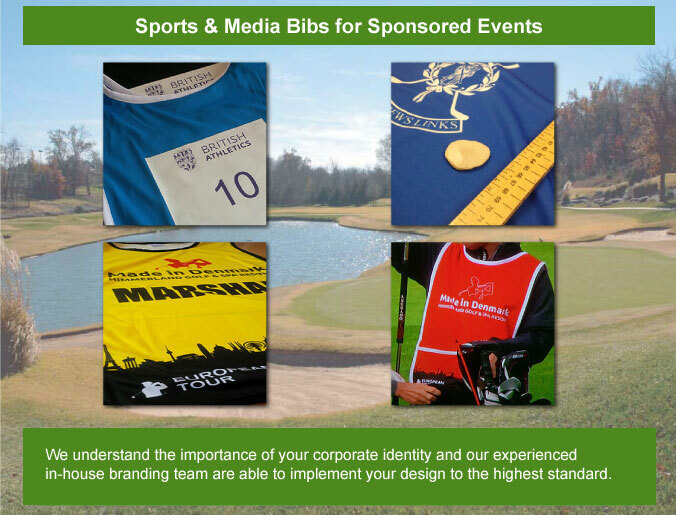 Event Caddie manufacture professional sports bibs in the UK for sponsored events, professional golf tournaments and clubs around the world. Fast reliable service with global shipping to any country via Fed Ex. 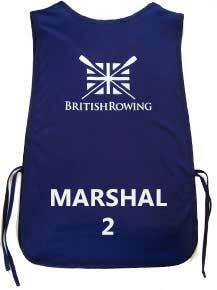 CHOOSE ONE OF OUR STYLES OR SEND US YOUR OLD BIB AND WE WILL MAKE IT BETTER! 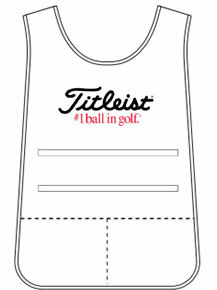 Our PRO Tour Style golf caddie bib has been developed with the help and experience of caddies on the professional golf circuit to perfect the design. 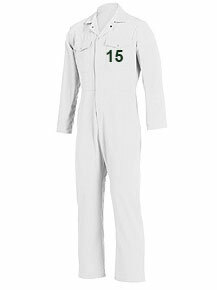 The Euro Caddie Smock combines a more square body with additional features to the pockets, both have a range of side fastenings including our new adjustable slide clasp. 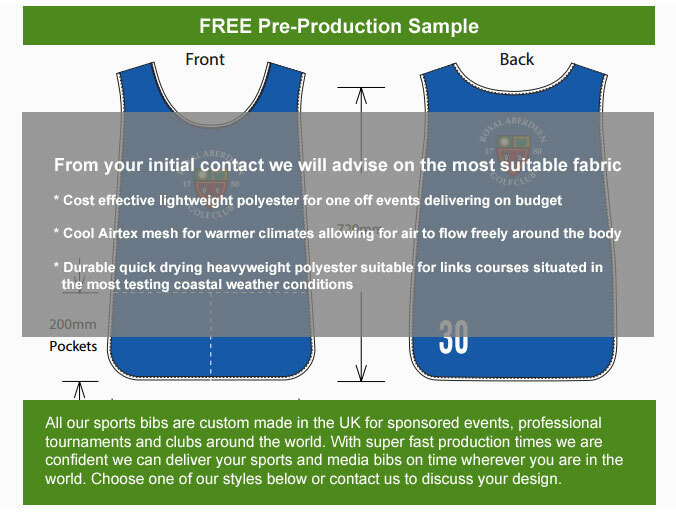 As all our sports bibs are manufactured to order we offer a pre-production sample, an ideal opportunity to make any final alterations before proceeding to production. 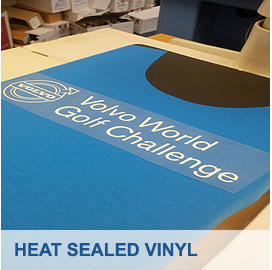 We offer a wide selection of fabrics ranging from durable, quick drying heavyweight Polyester suitable for links courses with more demanding weather conditions to lightweight Polyester and Airtex mesh for the warmer climates. 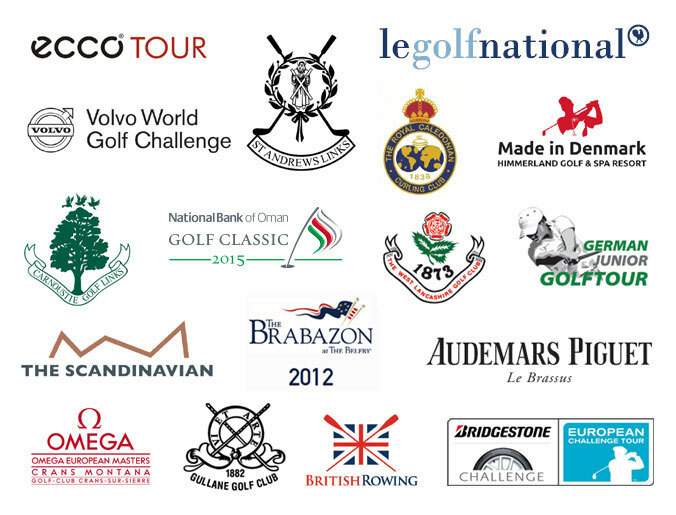 From your initial contact we will advise on the most suitable fabric depending on if you holding one off event or fabrics suitable for golf course situated in the most testing coastal weather conditions. 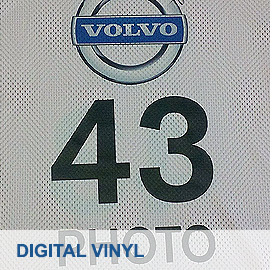 We will work with you to bring your design to life in digital format showing the position of logos, colours and any other features you require. 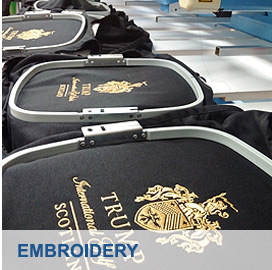 We understand the importance of your corporate identity and our experienced in-house branding team are able to implement your design to the highest standard whether you have chosen a full body pantone matched print or embroidery for your design we take care of ensuring your brand identity is clear and precise.